Here we are at the close of the 3rd quarter of 2014. The 3rd quarter includes the months of July, August, and September. 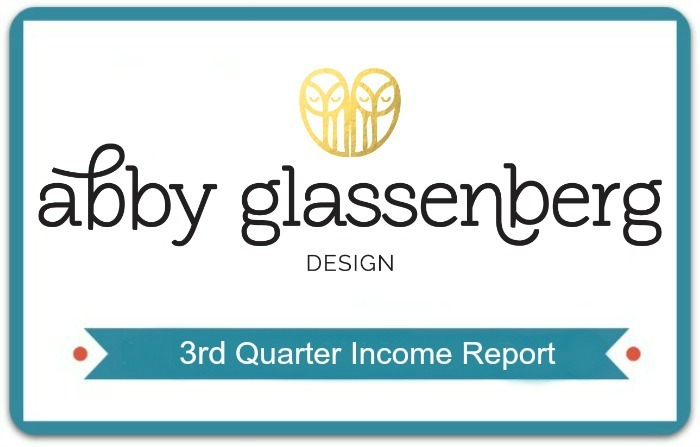 At quarter end I do some financial calculations and analysis for my company and this year I’ve been sharing the results here on my blog (see the 1st quarter report and the 2nd quarter report). I do my bookkeeping weekly, on Friday mornings, and you can read more about that process here. Although I can see week by week my general progress, I’ve found it really helpful for big picture planning to do a deeper analysis four times a year. So here we go! Pattern sales are my largest source of income at 50%. Actually, those are my direct-to-consumer PDF patterns, but I also license patterns to Simplicity and the royalties you see on the graph are almost all from Simplicity. 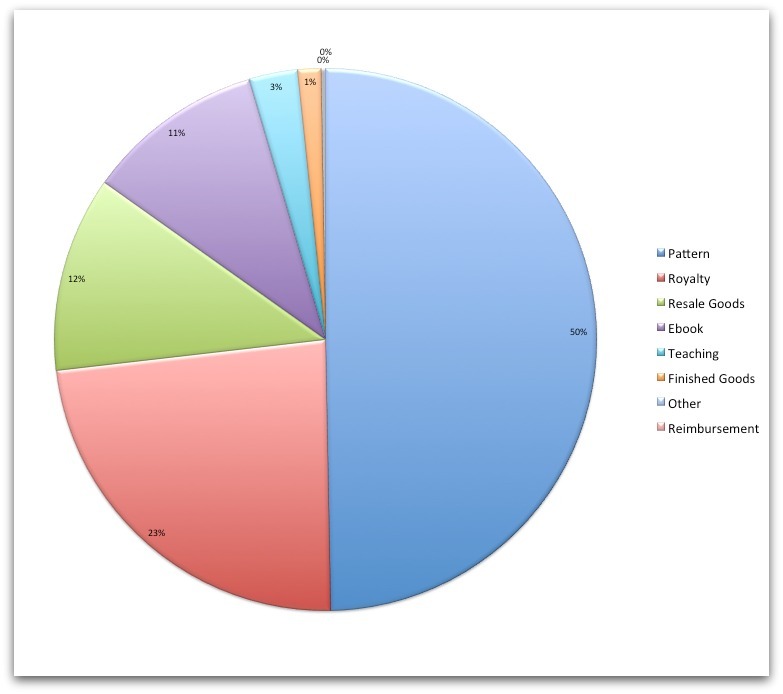 Taken together, patterns make up 73% of my revenue. There was one major shift this quarter that I’m excited about. My online shop that lives right here on my blog out performed my Etsy shop! I earned $4,046.70 from my own shop and $3,370 from my Etsy shop, saving me a total of $141.63 in Etsy transaction fees. I love Etsy and plan to stay there, but it’s an expensive way to do business online. In the 2nd quarter I paid Etsy $245 in transaction fees, but this shift brought my bill down to just $185 this quarter. I’m really happy that my gross revenue is back up after a low 2nd quarter. (Just to review, my revenue was $11,789 in the first quarter, and $7,705 in the 2nd quarter). At the end of last quarter I really hesitated to even post my revenue because I was embarrassed about it, but you know what? Posting it made me work harder so I’m glad I did. I’m back on track. Let’s talk about books for a second. 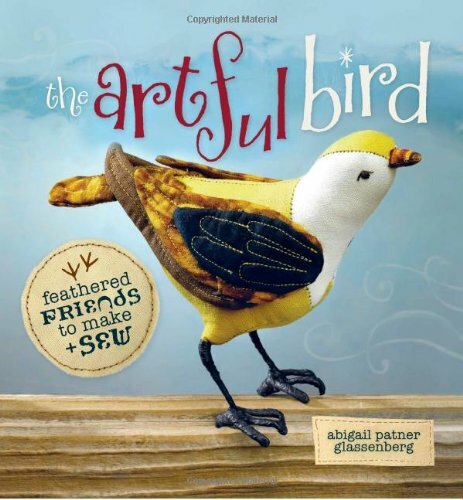 A month ago I got a notice from Interweave saying that my first book, The Artful Bird, will be going out of print. I’m sad, but that’s how this stuff works. I received what will probably be a final royalty payment from that book for $489.50 this quarter. The book was released in 2011 and I’ve made over $20,000 from it, which is amazing. I’m working to get the ebook rights so that I can sell it myself and it’s looking like it will happen so that’s terrific, too. I also got a royalty statement from Lark Crafts for my second book, Stuffed Animals. When I signed the contract I took a $7,000 advance on that book, plus a $1,000 one-time payment for taking the step-by-step photos. Even though it went into a second printing almost immediately and was named an Amazon Best Book of the Year, after a year and a half on the market I have yet to make up the advance. I earn about $1.20 on each book. I’d need to earn another $1,083.64 worth of books, $1.20 at a time, before I’ll get any royalties and given that I only sold $699.44 in the first half of this year it’s looking grim. I’m making peace with the fact that I will never earn more from that book than what I’ve already gotten. I’m incredibly proud of it and I know it’s a great book. I stand by it no matter what it earns, but the lesson here is that books don’t sell without marketing. 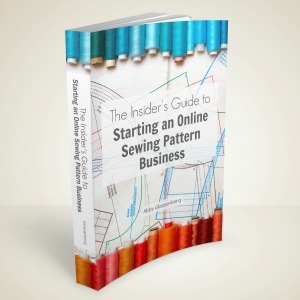 Interweave does great marketing and it makes a difference for their authors. At the end of last quarter I remarked how my baby patterns, specifically the Lovey Dovey, continually sell well and I set a goal to design more patterns people could make a baby gifts. So I began this quarter by making a third set of Lovey Dovies and take a look at what happened! The new Lovey Dovey pattern earned $900.20, far out performing any other pattern. It was so worth it. This information is incredibly valuable to me and helps to guide my decisions. I was recently offered the opportunity to teach a softie design class on CreativeLive. I was excited about it and proposed a class centered around baby patterns. When they came back and said they’d prefer to do the Duck, Jeremy Giraffe, and Pepper the Penguin, I decided against it. CreativeLive has a very generous royalty split of 50%/50% (for each class sold, they take 50% and the instructor gets 50%), but the classes are on the expensive side at $59-$79 and I just didn’t feel confident that enough people would buy a class at that price for non-baby focused patterns. I couldn’t justify the months of preparation it would take for me to create a class that I wasn’t confident would sell. I’d rather wait until a different opportunity arises. One final note about the breakdown of sales by pattern. I have a lot of patterns at this point (more than 40). While I love to design new things all the time (fun!) I think it’s just as profitable to go back and revive older patterns by showing them made up in new fabrics, creating variations, doing sew-alongs, and adding video content to support them. These enhancements take less time, are still really interesting, and help me build on what I already have. Marketing! Poor Pip the Pig. He’s awesome and only one person bought the pattern this quarter. Me and that pig need to have a marketing meeting. I managed to keep my expenses down this quarter, mostly because I’m done paying off my new website. Yay! I spent the largest portion on goods for resale. These are the eyes, rattles, squeakers, hemostats and other specialty supplies I sell in my shops. I spent $478.61 buying things to re-sell, but earned $1,308.47 on those items for a net earnings of $829.86 so it was worth it, but it’s something I have to be careful about. You can feel like you’re making money selling supplies when you really aren’t if you don’t examine the numbers carefully. As always, online services make up a good portion of my expenses. Running an online business is not free. This category includes MailChimp and this quarter I’ve worked hard to make MailChimp worth the $50/month fee. In June I “cleaned my list” (following these instructions) deleting subscribers who hadn’t opened an email in the last three months. This brought my subscriber number down low enough that I can comfortably stay below 5,000 subscribers and not go above the $50/month threshold (I have 3,450 subscribers right now). If you think about it, you’re paying for every subscriber so better to weed out those who aren’t interested than to feed your ego with a higher subscriber number, right? I started offering new patterns to my subscribers for a $2 discount the week of the release. This strategy was really effective. For example, I sold 44 of the new Lovey Dovey in the first two days. Also effective was sending a reminder email two days before the sale ended. I sold another 26 Lovey Dovies on the reminder email day. Sending twice in a week is a risk because some people will get annoyed at the frequency so it’s not something I want to do often, but it’s very effective and well worth it from time to time. Also note that I worked really hard to make my newsletter packed full of interesting content to grow my subscriber base, to increase my open rate, and to develop positive relationships with my subscribers (read more about my newsletter here). I’d like to give a small cheer for the 3% of my expenses that went to art supplies. I spent a total of $50.31 over the last three months on fabric, stuffing, and notions. Restraint wins! Just by way of translation, “CC Fees” are credit card processing fees on both Stripe and Etsy Direct Checkout. This was my highest quarter for net earnings this year. (1st quarter’s net earnings were $5,070 and 2nd quarter’s were $2,441). A business should grow and mine is growing, even if sometimes it feels slow and there are setbacks. When I left the traditional workforce a decade ago I was a public school teacher earning $48,000. I had a master’s degree and six years in the field. Growth potential existed, but it was a slow stair step that I had no control over and I was never going to really earn a lot, plus I had to work outside of my home which wasn’t what I wanted once I had children. An awesome thing about being an entrepreneur is the control I have over what happens with my company. I love that! 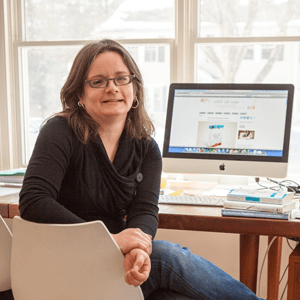 Nearly two years ago when I incorporated my business one of my biggest goals was to eventually replace my old income while still being at home with my three young kids. I’m hoping it’ll happen next year or the year after. Thank you for all of your support, both by buying patterns, ebooks, books, and supplies, but also by just reading and asking questions and saying hello and spreading the word. Truly, thank you. Time to tackle final three months of 2014. Bring it on! Abby this is amazing, thank you so much for sharing! I’m in the process of putting together a business plan (as a pattern designer of patchwork and quilting crafts, based in the UK), and while there’s so much information on the ‘hows’ of running a business, there really isn’t anything on the actual nitty gritty. I’m writing a cash-flow at the moment, and stabbing in the dark at how many sales I might make seems like an exercise in writing fairy-tales! It’s so generous of you to share actual figures – and it’s really encouraging that after a lot of work and dedication you can achieve the amazing success you have. I think you’re going to smash your 4th quarter! I completely agree with the last two comments, it’s so helpful to hear all this and I really appreciate your honesty. I’ve been reading your blog for a while now and as a designer who doesn’t have the business background it is so helpful. Thank you! That’s awesome about getting the e-book rights for the artful bird! Yay for a better quarter. Congrats on a great quarter! I really appreciate you sharing so much. Do you know why more sales came from your website rather than Etsy? I’d love to see a post about your traffic and where your customers come from (repeat vs. new, from your emails, found via Google, etc.). I’m afraid I don’t have a lot of that information because my knowledge of Google Analytics is really pretty poor and I don’t really know how to track conversions. My sales came from my website because I use links to my website shop listings in my newsletter. The newsletter is such an amazingly effective marketing tool. I feel fairly confident that nearly all of the sales that come in through my website happen when customers get my newsletter and click through to buy things. I don’t track new versus repeat customers because I don’t yet know how to do that easily and I also don’t know how many people become customers just by Googling and finding my site. I’m sorry I can’t do a post about those things! No problem! So glad your newsletter is doing so well for you. I always enjoy reading it, even though I’ve already read your blog posts. I know Etsy tracks whether a customer is a repeat customer or not by putting a little green dot by the order. That info is probably downloadable in some way too. (I would hope.) I’m sure the tech side of things will get easier as time goes on. Google Analytics has so much useful data. I just wish it were a bit easier to digest! This kind of detailed info is so helpful for small businesses! I know from doing this kind of analysis on my own business that you learn something every time. I’ll be interested in hearing how the ebook of The Artful Bird goes. That seems like it has a lot of potential. I’m also hoping to put The Artful Bird on Amazon’s CreateSpace so that it’s print-on-demand for an actual paper copy of the book. The quality of CreateSpace printing and paper rivals that of a mainstream publisher so it will be basically the same. That’s my goal. 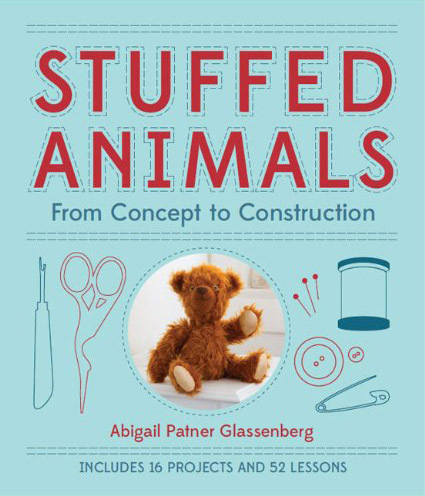 I have made probably 35-40 stuffed animals over the past two years. Some were from your patterns and some from other designers. But the one that gets the most love is probably Benji the Bumblebee. My kids just love it! They chase each other around the house with it, he takes turns sleeping in their rooms…. Anyway, it surprises me that he’s not higher on the list. Also, I am one of those people who purchased a pattern when you sent the second notice about a pattern sale. I had been mulling it over but then forgot about it, and the second email about the sale ending jogged by memory – I was glad you sent it. Thanks for sharing all the details – very interesting! I’m glad the second notice worked for you and wasn’t annoying! And I’m super glad that Benji the Bumblebee is getting some love in your house! He’s a fun guy and I hope he sells better next quarter. This is so generous of you to share with your readers! I really appreciate the peek behind the curtain–sometimes it’s frustrating seeing all of these thriving artists out there, not knowing how they patch it all together. Being transparent helps everyone grow and I really REALLY appreciate you letting us in on your financial happenings. I’m working on finishing up a book with the goal of “publishing” through create space. If you get there before me I’d be so curious about your experience and grateful for insights. I”ve been researching and it looks like the right option for me but have to finalize the BOOK before I can really put it up there. It’s awesome you have rights to re-publish Artful Bird in this way!! PS do you follow Elisa Blaha Cripe? I only know her online but she has a very longstanding blog and started a podcast and like you is very focused on the _business_ side of her handmade business with very clear financial goals etc. She did a good podcast about that topic (Elise Gets Crafty) and talked about her annual financial targets. If you aren’t already following her blog/podcast I think you’d be very interested. Right now she’s telling her business story in a series of posts. Yes, I do follow Elise’s blog and I’ve listened to every episode of her podcast. She’s awesome and I’m looking forward to meeting her in person when we both sit on a panel about podcasting at Craftcation in March. While I am a stay at home mom and full time student I have limited funds and I do find making a small blanket and stuffed animal is a great use of my time I have a lot of trouble following the written instructions. I am more likely to spend 30 dollars on a 1 pattern that has a video included. Much like the craftygemini does. I have purchased her videos. I would purchase yours if it was available and something that can be made into different seasons like the little piggy with different accessories for the holidays. Just a thought I love your blog! This is great feedback for me, Angel. Thank you. Very interesting to read that your own web shop does better than etsy. I don’t feel I can open an etsy shop as I read the forums and the feeling seems to be that a lot of people are resentful about the lack of control there but people don’t know where else to go. Even as a buyer I get so frustrated with looking at a different layout everyday as they continually test. Right now I can’t see combined shipping charges until I put things in my basket. I had to email the seller about it which was frustrating, especially as she couldn’t see what I did. I tried out Zibbet myself but not too pleased with it. It is heartening to know it can work having your own shop. I like to use independent shops as I know there are less fees for the seller to pay if I do. Anyway, the biggest thing I get from what you say is that you have passion and drive for what you do, and that combined with very hard work is obviously your secret. A book is always going to be a matter for pride and sense of achievement and accomplishment if not financial rewards. I increasingly like the idea of buying ebooks which to me is not the same as a book on kindle but more adaptable. I like the idea of several patterns put together perhaps in a theme, or getting to choose say 4 at a time for a special price as then I get what I want with no wastage. It’s convenient in so many ways as I have to think carefully now about buying craft books as I just don’t have the space. I think putting your bird book out yourself is a great idea. I think Jane Brocket is now doing similar. Anyway congratulations on a successful last quarter, I hope you reach your goals long term. I’m sure you will! I’ve read those complaints in the Esty forums, too. I just don’t see things that way. The reason I can make over $3,000 in Etsy sales in a quarter while doing next to nothing to bring those sales in is because Etsy does all of that work for me. My blog posts and newsletters, Facebook updates, tweets, and Instagram posts all point people here to my online shop, and yet I sold nearly as much via Etsy over the past three months. As a savvy online business Etsy does A/B testing to carefully examine which layouts encourage customers to buy the most. Yes, it does feel confusing at times when the format of shops changes, but clearly it’s worth it in sales it brings in. Honestly I think that hanging out in the Etsy forums complaining isn’t productive. There are many other very easy and affordable, or free, options for setting up an independent online shop now. The problem is that driving sales to that shop is a ton of hard work. It’s easy to complain that Etsy isn’t doing it right, but much harder to do it yourself successfully. I’m glad to read these comments actually, because I always feel like I am shooting myself in the foot by not going with etsy. It’s everyone’s go to place to buy, so I might bite the bullet. That said, I no longer see it as perfection as a buyer the way I used to, and I don’t think their customers (the sellers), get enough consideration. I agree that it is harder to do it yourself especially if you are new and have no customer base of your own. Anyway it is crunch time for me. I go it alone and start to take it much more seriously and work very hard, or I go with etsy and take it from there. However, people make selling on etsy seem very hard work too – constantly needing to work on seo for instance. For sure etsy has the traffic. Zibbet had none. I was reading yesterday about people closing their Zibbet shops with no sales, yet they had over a thousand or even several on etsy. You can still be lost on etsy though, as there are so many shops. I think raising your own profile still remains key. I’m actually a bit scared of that. Congratulations! And thank you. Even for us ‘distance dreamers’, this is so helpful, and insightful. Thank you! I just read your 3rd quarter earnings report and I very much appreciate your willingness to share your personal information. It is very helpful to someone considering starting up a new venture (like me!) to see realistic financial figures. I am so glad you are doing so good and growing, there will be slow times, but as long as you grow you are doing good, may GOD keep blessing you with growth and good health. I love how transparent you are! Thanks also for the tips on the newsletter list. I have a mailchimp account with over 5600 subscribers. However, my open rate is much lower so I think it’s time to let go of the ego and clean up the list! It was painful to do at first! Letting go of over 300 subscribers initially brought me under 3,000, a number I’d worked so hard to reach. But then I sent out a newsletter and my open rate was 55% again. So worth it. I have followed the steps outlined in mailchimp to clean up my list which I have collected over the last 6 years. It was sad, I will probably let go of over half of my list, but they just aren’t opening so they are not truly mine, are they?? The carrot is knowing my fees will be lower with fewer subscribers. Thanks again for the push. You’re welcome! I think another carrot will be seeing how many of your subscribers now open your newsletter. Knowing that at least 50% of your list is actually reading what you put out is really a good feeling! This touches on a bigger point that I think is important. Whenever I see someone say that they have a huge subscriber number, but they don’t include their open rate, I really don’t feel all that impressed. What’s impressive is how many of the people you send to are opening and reading your emails. The same goes with numbers of sales on Etsy. When someone says, “I’ve reached 1,000 sales on Etsy” or 10,000 or whatever large number, I am not all that impressed unless I know that they’ve priced their product fairly. You can sell tons of things and still not make a profit. 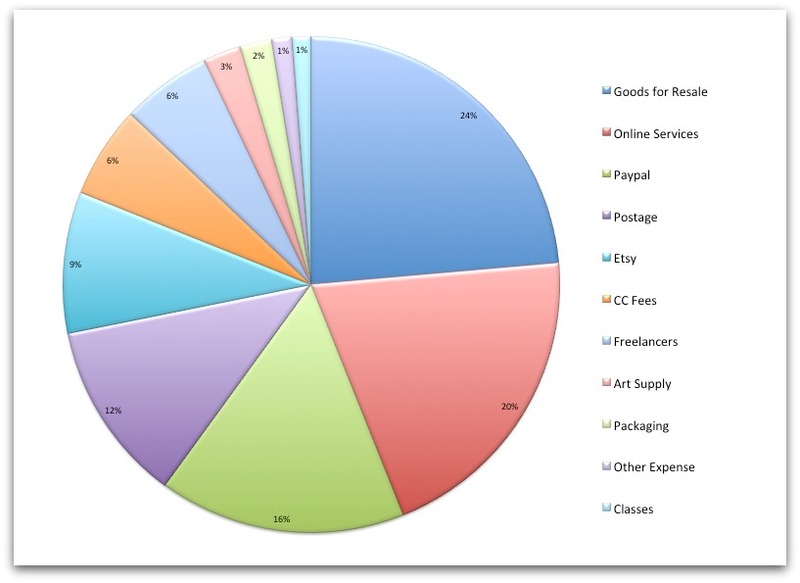 For any of these areas volume alone is not good indicator of a healthy business. Thank you for sharing all of this information. I recently started an etsy shop, and it’s hard not getting discouraged at the slow start. I also worry that I’ll never be able to be successful enough to make it all worth it. All of your information is encouraging, and motivates me to keep at it, and make it work. It can take a very long time to develop an online business until it’s profitable. If you love it, just keep working every single day to improve what you have. This is such an informative and generous post, Abby! Thank you for letting us know what works for you and what your ideas are for the low performers. You put a lot of hard work into your business and it shines in your numbers and products. Good for you for pursuing the e-book rights for your bird book! You are so resourceful, I’m you’ll squeeze a little more profit from it. Your newsletter is what brings me to your site again and again. 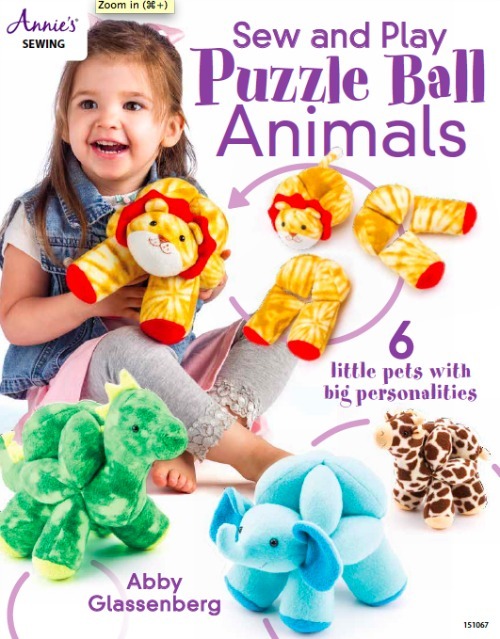 It also prompted me to purchase your recent update of your Topsy Turvy doll pattern, along with its sale price window. I’m eager to try making her with fun cotton prints. Thanks for all the useful info you provide here on your blog and in your podcasts! Thanks for your ongoing support, Sharon. I’m so glad we’ve become friends! Thank you so much for this valuable and detailed information, Abby! I can’t tell you how much I appreciate it. I am about to launch my Etsy shop and website, and I’m working out where I want to focus my energies. Your breakdown and analysis of sales and expenses has given me some excellent ideas about how to get started and track my progress. I’m so glad to hear that. Good luck to you in your new venture, Diana! Abby, I just love this post (actually, I love them all) but this one is especially helpful. I too am a stay at home mom, a previous teacher and homeschooling my son. I have been trying to find my niche in order to make a little money while still staying home. I think you’ve done an amazing job at explaining your process and the charts really helped to see where the money comes from and what it goes to. I just thought of something – and let me know if you’ve done this – I’d love to see how you allocate your time daily. I see you mentioned Friday is the books. What is your daily process for staying focused on work/home? I’d love your thoughts on that. Thank you so much for what you do and thank you for sharing with us all. It is a real help and motivating!! It’s funny, I’m not sure I can explain it! I will put some thought into doing a post about allocating time wisely. Basically, I keep a huge list of everything that needs to be done for my business. It’s on a yellow legal pad (I go through several a year) plus I have a monthly calendar. When it’s time to work, I look at the list and just work. I love what I do, so that helps a lot. But really I try to use every single minute of free time that I have and try to accomplish as much as possible each day. I have thought of doing a post about all of the things I don’t do! Like volunteer at the kids’ school, for example, and going out for coffee with friends in the middle of the day. And watching TV. And reading the newspaper. There are many things that I don’t do! I LOVE your newsletters and read every one of them. I’m going to be starting one myself soon, and will be drawing upon your style of newsletter as inspiration!! Colleterie is also another one that I always read. And I don’t even sew stuffed animals or clothes, lol! I love Colleterie as well. I’m so glad you’re enjoying my newsletter. I really like finding great stuff to share each week. Good for you, Jenny! That’s terrific. Thanks for sharing these numbers with us. I’m typically someone who jumps in feet first without planning ahead and my husband is the complete opposite. He’s very level headed and (with an MBA in Finance) is always the first one to bring me back to earth and I honestly think he doesn’t believe that a handmade business like yours could replace a full time income. I will enjoy showing him your progress and your information to help him see that it is possible, granted with lots of hard work and planning. Also, your newsletter is wonderfully written and inspiring, and very well designed. Thank you for all the hard work you do and I’m sure you’ll do great in the 4th quarter! 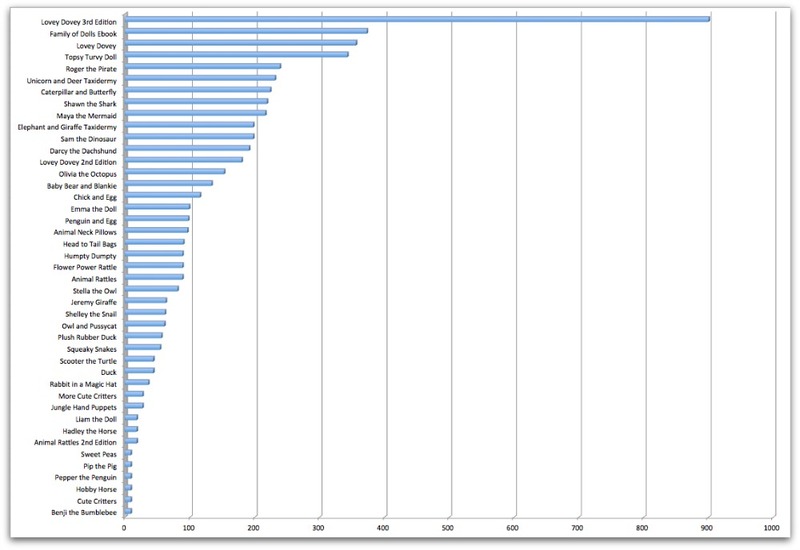 Your income reports are so helpful to see. Thanks so much for posting them and some of your strategies. I also love that your business is transparent. Your whole blog and newsletter is always packed with helpful and informative learning and sharing. It’s really special. I had one question about the report. You mention that you saved on Etsy fees in terms of the sales you made from your own shop. But don’t you have some fees for that shop like a monthly fee or something? I’d love to know if there’s a way to create a shop with no fees, but I always thought you had to pay someone monthly and then pay someone else for the instant download feature, and then pay someone else to be able to accept credit cards. I use a WordPress plugin called WooCommerce to run my shop and it’s free. It sends out the digital files automatically. I use PayPal and Stripe to manage payments and there are small transaction fees on each of those. I pay for hosting, but I have to pay for hosting anyway in order to have my blog so it’s all wrapped up into one. Being able to customize my site with plugins like WooCommerce was one of the main reasons I decided to move to WordPress. I hope that helps! Oh that sounds like a great option. Thanks for explaining! Good to know! I’ve been thinking about reopening my Etsy shop, but maybe I won’t! I so love these posts of yours! Very brave, but such fabulous information for those of us getting started or working in this singular crafts-based world. I really appreciate it. Thank you! Oh, and you answered my question about results of newsletter that I posted on your other post right here in your comments on this one. So thanks for that too. Good luck with your goals for the coming year. I really admire what you do. Abby! Just in case I forget to tell you this when I see you later this week (yay! ), I’m another person who finds these posts refreshing and inspiring! And I don’t even sew or sell my crafts! I just love it when people are honest and open about what they are doing online, because we’re all still newbies as the internet grows and changes! I am a bit embarassed to say that I just discovered your blog and podcast today. I feel like I’ve been in the dark. LOL! I came over from a link on Facebook for podcast #32. At least I had you on Facebook! The poscast and this post are just awesome. Very informative and educational! I was reading some of the comments on this post and wanted to point out that Erin from “Sew At Home Mummy” did a post in the past couple of months on how to use Google analytics. I keep meaning to read through it and learn. So that may be helpful to you. That said, I don’t comment often, but I don’t usually mind an email that a discount is expiring right before the weekend, especially. I sometimes –ok, most always–wait until Friday or Saturday to buy patterns and the reminder is nice… Especially useful if it’s something I might be on the fence about…. The reminder will push me to go ahead and buy it before the discount goes away! My theory is that those of us who send emails are way more sensitive (and likely to unsubscribe) than regular users are! Thanks for sharing your income numbers, they’re super interesting! Thank you for this article! I agree that senders of emails really shouldn’t feel too guilty. People can always unsubscribe and if what you’ve got to share is interesting and valuable, and you’re sharing it with people who have chosen to receive your messages, than you really have no reason not to send! Go for it. Abby, I noticed that you use Amazon affiliate links occasionally, but I don’t see any income from that. Do you find that you the affiliate links aren’t worth the hassle? I think it depends on how you use them. If you’re someone who really works hard to promote those links and you have tremendous traffic then they can be a good source of income. I like to think of income as drops, cups, and buckets. I sell a lot of cups (patterns). I’m working on the buckets this year. Affiliate income and ad revenue? Those are drops. As you said, for me they aren’t worth the hassle. Sara, I agree with you. I would rather have a clean post than one gummed up with language about affiliate links. They do cloud the intention of the post, even subtly, and for me they lead to just a few dollars worth of income.